The simplest difference between a Federal Crime and a Colorado State Crime is that a Federal Crime is an offense against Federal Law, and is charged as such, while a Colorado State Crime is charged as an offense against state law. Of course, in many cases, there is an overlap between federal and state law, meaning that many crimes could be charged as either federal or state. However, there are numerous differences in the rules, procedures, and knowledge required in order to defend against a federal charge as opposed to a state charge. Anyone facing federal criminal charges, whether those charges have been filed or the individual is under investigation, should speak with a Boulder federal criminal defense lawyer immediately to protect his or her rights. Federal charges always need to be taken very seriously; the penalties for conviction are typically more severe for federal crimes than state crimes, and with federal investigators such as the FBI, ATF, or DEA involved, and federal prosecutors, designing an effective defense strategy is often quite different than that of a state charge. While this list is by no means an all-inclusive list of crimes that are typically charged in federal court, it is meant to give an idea of what types of charges might result in your needing a Boulder federal criminal defense attorney. Does a Federal Charge Require a Special Lawyer? 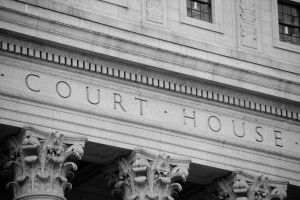 In order to represent you in Federal Court, an attorney must be licensed to practice in Federal Court for the district appropriate to where you are charged, or they must have special permission from the judge to practice there for your case. Because the procedures and rules are so much different in Federal Court than in State Court, a lawyer with experience in federal court, with a thorough understanding of the protocols and procedures, will be able to focus on your defense strategy, rather than having to brush up on federal procedures. If you face federal criminal charges, speak with a dedicated Boulder federal criminal defense lawyer immediately. Like with state charges, protecting your rights in the early stages of criminal prosecution can prove vital to the outcome of your case. 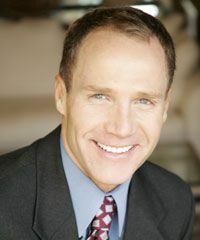 Steven Louth is a former Boulder County prosecutor who has represented many Coloradans against federal criminal charges; from protecting your rights during investigation to designing an effective defense strategy, Mr. Louth has sharp legal skills backed up by a through understanding of the system that can help achieve that best possible outcome for you. For more information and a FREE CONSULTATION, contact Mr. Louth at (303)442-2297.